How does fingerprint identification work? Deltabit has been developing fingerprint identification products, which make everyday life easier, since the 1990s. We have witnessed the great technological leap to the current situation, where there’s a fingerprint reader in virtually every pocket. We want to share our knowledge, and that’s why we have compiled a comprehensive information packet for all those who are interested in fingerprint identification. There you go, enjoy! For which purposes is fingerprint identification suited? Fingerprint identification is an exceptionally flexible and versatile method of human identification. It is suited for applications where a key, access card, or password is normally used. It is already in use in doors, tool-management systems, online services, fitness centres, and many others. The most recent smartphone models now even have a fingerprint reader. Fingerprint identification is thus in surprisingly versatile use already. What benefits does fingerprint identification provide? A fingerprint is a unique way of identifying a person. If you compare a fingerprint with a key, you can say that you actually have ten keys in a person’s hands, as each fingerprint is different. Even if one finger has a cut or the entire hand is in a cast, there would still be enough fingers for making an identification. 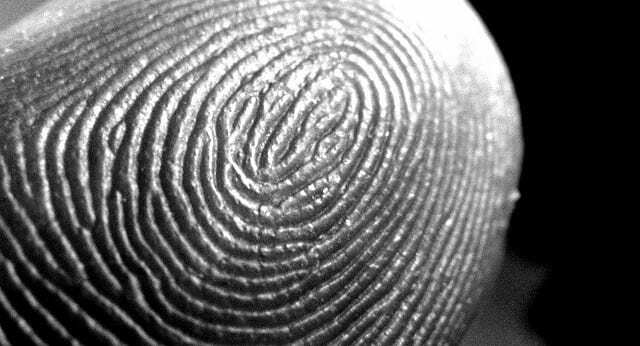 The fingerprint is a very certain method for identifying a person, because all fingerprints are unique. Even identical twins have different fingerprints. Compared with other methods of identification, such as a key, access card, numerical code or a password, the fingerprint is very secure. You cannot lose or forget it, and it cannot be stolen. It is also extremely practical, because you do not need to carry anything with you. Your pockets can be empty, there is no need to try and find anything at the bottom of your bag, and you can forget those big bundles of keys. You can also save significant sums in system management costs. In extensive systems, such as access control in factories or offices or visitor identification at sports clubs, there is no need for cards or keys that need to be distributed, collected back again, or removed from the register due to lost cards or keys. For example, when using fingerprint identification, visitors can be granted access for even just a single day. What does fingerprint identification mean? In fingerprint identification, a person’s fingerprint is compared to stored fingerprint data. A fingerprint can, for example, be stored in an identification system database, a passport chip, or an access card’s memory. Identification locations include a doorside fingerprint reader, a reader connected to a computer, or a fingerprint reader integrated in a smartphone. There are two methods of identification: a fingerprint to be identified is compared with several stored fingerprints or the fingerprint is compared with a specific person’s fingerprints. An example of the first method is a company’s access-control system. This system uses stored fingerprint data to identify the fingerprint of a person at the door, so that it can be verified whether the person to be identified has the right to access the door. An example of the second method is a radiation-therapy system where a comparison is made to ensure that the treatment plan that is about to start is intended for the patient just starting the therapy in question. How is fingerprint identification implemented? Fingerprint identification is based on pattern recognition where the arches, loops and whorls of the fingerprint ridges are compared with stored data. Identification is performed in three parts. A picture is taken of the fingerprint. The picture can be taken optically with a camera in the reader or electronically, or as a combination of these two methods. The end result is a digital black and white photograph of the ridges in the fingerprint. The fingerprint is then transformed into a numerical model which stores the fingerprint’s unique characteristics, such as the arches and loops and their distance from each other, as a series of numbers. A recognised numerical model is compared with a stored numerical model (or models) to find similarities. What happens after the identification? Fingerprint identification is nearly always combined as a part of another system, such as a locking system. Fingerprint identification is used to verify a person’s identity, after which the system can perform the required actions, such as opening a lock, allowing a person to use software, or enabling a machine to start. Which factors influence the functionality of fingerprint identification? The fact that the skin on our fingertips is flexible poses a challenge for identification. This is why, for example, the dryness of the skin, the surrounding temperature and the force with which the finger is pressed against the reader surface affects the created fingerprint. If you press your finger with great force against the reader, the ridges of your fingerprint can become squashed together. This will make the fingerprint image different and the identification more difficult. Also the dryness of the skin and the temperature of the reader surface affect the flexibility of the skin, and this again affects the image. During the past few years, fingerprint identification and related pattern recognition have taken significant leaps forward, and also most of the more difficult cases are now being identified reliably. The quality of the stored fingerprint data also has a great effect on the actual identification later. Thus, it is worth performing the enrolment process well, and if there are any problems with the identification, it pays off to repeat the data storage. Different fingerprint readers have significant differences in how well they can withstand becoming dirty. On sites where there is no possibility for regular cleaning of the fingerprint reader, it is useful to choose a technology that is not affected by dirtiness. Can a fingerprint be stolen? Due to data security issues, the current commercial fingerprint identification systems never store fingerprints as images; only as numerical models that contain a few per cent of the data contained in the fingerprint. This is why a numerical model cannot be used for creating a fingerprint image. Exceptions to this are official systems, such as fingerprint records maintained by the police, and passports where the fingerprint is stored as an image. How fast is fingerprint identification? And how reliable? At present, fingerprint identification is extremely fast. The technology has seen some significant advances during the past years, and identification is now performed in a fraction of a second. Especially with readers that utilise electronic fingerprint reading, the identification is amazingly quick. Identification reliability is at a very high level, and nearly all fingerprints can be identified. Even with an identification reliability of nearly 100%, it is not foreseeable that absolutely all fingerprints would be successfully identified in the next few years. For example, the fingerprints of persons working in specific professions can be so damaged that a sufficient number of identification points cannot be read. Such professions include those where the skin on the fingertip is repeatedly burned or corroded by chemicals. Fingerprints are restored after single damaging incidents, so a few injuries have no effect fingerprint identification. Would fingerprint identification suit my purposes? People who have transferred to using fingerprint identification do not usually wish to return to previous methods of operation. The ease and simplicity of use are the main reasons for customer satisfaction. We can therefore highly recommend fingerprints as a method of identification. Deltabit products can utilise fingerprints for identifying patients in healthcare. 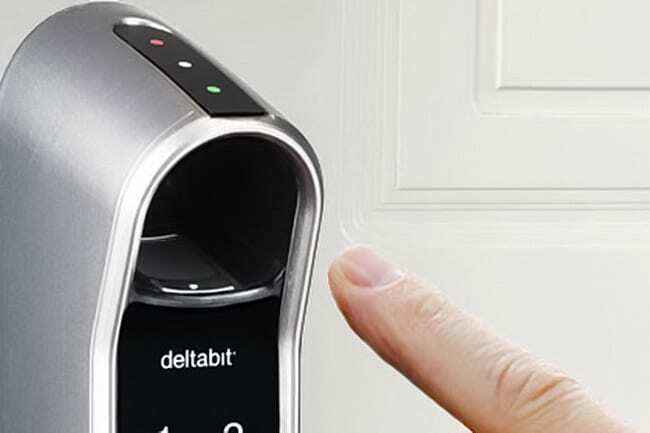 In addition, Deltabit Dooris is a product that replaces keys with fingerprint identification, and Deltabit Gatekeeper is a fingerprint-operated access-control system for companies. If you want to learn more about fingerprint identification or our products, get in touch with us! Deltabit has been developing software and fingerprint identification products since 1995. We develop keyless biometric systems that identify people in homes, businesses and health-care operations. Deltabit fingerprint readers identify people millions of times each month.